Fermanagh staged a spectacular comeback in a thrilling Ulster football final against favourites Armagh to force a replay next Sunday at Clones. 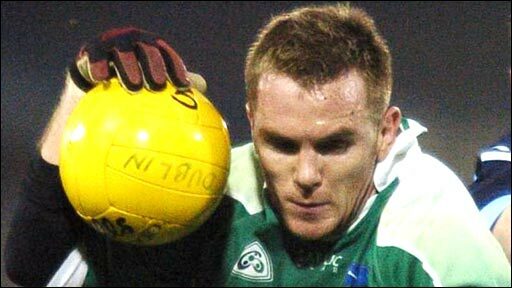 Finnian Moriarty netted an 18th-minute goal as Armagh established a 1-5 to 0-4 lead at half-time. When Ronan Clarke snapped up a second goal straight after the break it looked as if Armagh might win easily. Fermanagh, buoyed by an Eamon Maguire goal, fought back and got level in stoppage-time through Shaun Doherty. Either side could really have won it in an exciting finale but Armagh boss Peter McDonnell said afterwards they had let Fermanagh back into the final. 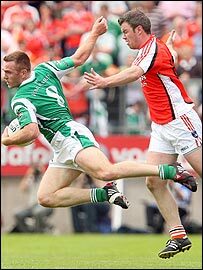 In the early stages Fermanagh were fired-up, landing the first point through Tommy McElroy. 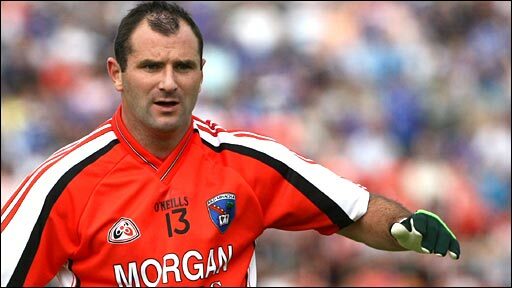 Ronan Clarke replied for Armagh who had a goal chance but Paul McGrane's low shot was well saved by Erne keeper Ronan Gallagher. Fermanagh then had a goal opportunity but Mark Murphy's flick struck the bar. Can Fermanagh finish the job? Ryan Keenan did edge Fermanagh ahead with a free but two scores from Steven McDonnell and one by Kieran Toner gave Armagh the lead. Armagh then got their first goal which came after a Toner's blocked shot fell to Brian Mallon who slipped the ball to Moriarty who fired it into the net. Fermanagh responded with points from Ciaran McElroy and Mark Little but a McDonnell free left them 1-5 to 0-4 behind at the break. Any thoughts of a Fermanagh revival were snuffed out just 54 seconds after the restart when Armagh netted their second goal. A good build-up involving Charlie Vernon and Brian Mallon ended with Clarke shooting the three-pointer. McDonnell landed another fine score from play but Fermanagh, with Barry Owens on for Shane McCabe, got a much-needed point through Martin McGrath. Fermanagh got a goal in the 45th minute to keep the contest alive. McGrath's effort fell short and Maguire came in to fist into the net. That meant Armagh's lead was down to four points but they got the next score with the majestic McDonnell again doing the business from play. Shane McDermott and a long-range effort from Ciaran McElroy added to the Erne County's tally before McDonnell took his personal tally to six. That had Armagh three ahead but McGrath pointed from play, Little landed another free and then came Doherty's equaliser which was the least Fermanagh deserved. Armagh: P Hearty, A Mallon, F Bellew, F Moriarty, A Kernan, A O'Rourke, C McKeever, P McGrane, K Toner, C Vernon, B Mallon, M O'Rourke, S McDonnell, R Clarke, S Kernan. Fermanagh: R Gallagher, S Goan, S McDermott, P Sherry, D Kelly, R MCCluskey, T McElroy, M McGrath (c), M Murphy, C McElroy, J Sherry, R Keenan, E Maguire, S McCabe, M Little.